Medián, one of Hungary’s top polling firms, published the results of a comprehensive and startling study into the scope and nature of antisemitism in Hungary. 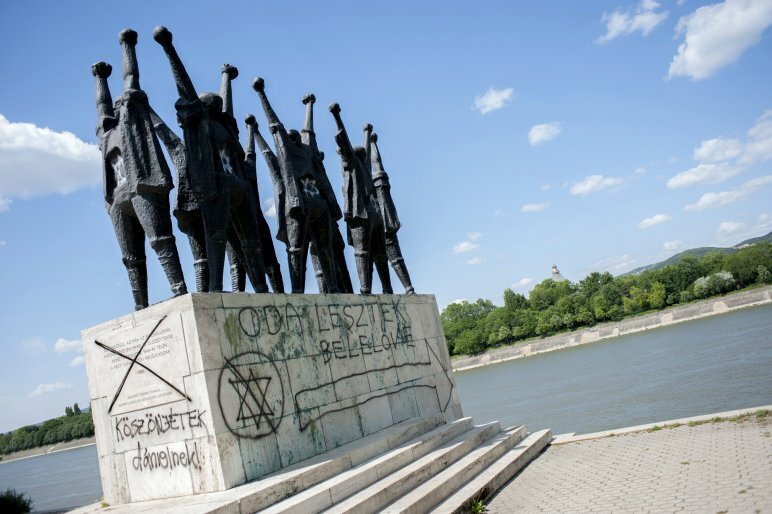 The poll shows a significant rise in antisemitism, with the number of Hungarians who are seen as “rejecting” Jews on a purely “emotional” level increasing from 9% in 2003 to 23% in 2014. It should be noted that the dramatic increase in these numbers occurred starting in 2010, after Fidesz came to power and once Jobbik had truly entered the national discourse. Endre Hann, Medián’s director, attributes the sharp rise (from 10% in 2009 to 28% in 2010) to Jobbik’s presence, as it took about a year after their first major victory in the European Parliamentary elections for Jobbik and its views to gain legitimacy. When it comes to the combined total of “strong” and “moderate” anti-Semites in Hungary, this proportion stands at 32%, or one-third of the Hungarian population. The study also explores levels of antisemitism among the voters and supporters of the major Hungarian political parties. According to these results, fully 23% of Fidesz voters are “strongly antisemitic,” with an additional 14% being classified as “mild anti-Semites.” In the case of Jobbik, 54% of the party’s base is “strongly antisemitic and 15% harbours a “mild” prejudice against the Jewish population. The only major political party in Hungary that, according to Medián, has no “strongly antisemitic” members is Politics Can Be Different (LMP), where 23% of supporters are seen as “mildly antisemitic.” In the case of the Hungarian Socialist Party (MSZP), strong antisemitism is present among 16% of socialist voters, while the mild variant is typical among 8%. In the case of the Democratic Coalition (DK), the proportion of both strong and mild anti-Semites stands at 13%. Antisemitism is alarmingly high in Budapest. According to Medián, 49% of Budapest residents are anti-Semites, while in rural Hungarian towns this proportion is, on average, 24%. “The level of receptiveness to antisemitism is highest in Budapest,” said Mr. Hann. The study found that most anti-Semites are also supporters of the death penalty, as well as a heavy-handed, punitive approach to drug-related issues. Most of those who are antisemitic are also homophobic, according to the poll. “For a significant portion of the Hungarian population, Jews simply form one embodiment of ‘the other’,” concludes Medián. Equally concerning is the finding that even among those Hungarians who Medián did not find to be antisemitic, the myth of there being a “worldwide Jewish conspiracy,” was accepted by 12% of “tolerant” respondents. Thanks in large part to the activities of Prime Minister Viktor Orbán’s government, 40% of Hungarians now believe that the Hungarian state bears no responsibility for what happened to Hungarian Jews during World War II. After reading through Medián’s findings, I was interested in seeing how Hungary compared regionally. According to statistics compiled by the Anti-Defamation League (ADL), the proportion of anti-Semites in Poland stands at 45% of the population, which would make this higher than that uncovered in Hungary. The poll also found that 57% of Poles believe that Polish Jewish are “more loyal” to Israel than to Poland. In the case of the Czech Republic, however, the proportion of anti-Semites is significantly lower than in Hungary, standing at just 13%. Interesting: the generalized bigotry of Hungarian antisemites is an almost perfect match to that of white (mainly male) Americans living in Southern states, except that Jews are replaced by dark(er)-skinned people. The world is rapidly advancing into the Middle Age. I know Hahn Bandi for a long time and have a great respect of his professional values. Consequently I have no doubt that the data are true. I am also sure that data related the voters of the different parties are also true. The communists, for instance, about whom you at Hungarian Free Press speak mildly and fraternally (like Tóbiás the Bold Head Outside and Inside) as “socialists”, or “Democratic Opposition” – just like the Jobbik – are echte Nazis, proving that being a small country, we have only one mob. But the distribution of the strong antisemitic mob among the voters of the different parties show that the causative correlation between the actual politics and the growing rate of antisemitism is you suppose is not necessarily correct. Consecutio temporum is a law in the grammar of Latin-based languages, but not necessarily in politics. I mean: facts that the Orbán-government have been governing Hungary since 2010, and te inrease in antisemitism has also been increasing since 2010, but it not necessarily means a direct correlation. This question could be unambiguously answered if the present statistics could be out next to the other one, namely about the distribution of people declaring Judean identity among the voters of the different parties. I have not seen such a statistics like that, consequently I stop thinking it further at this point. But the two statistics might complement each other providing a cleaner picture than that of our Christopher. 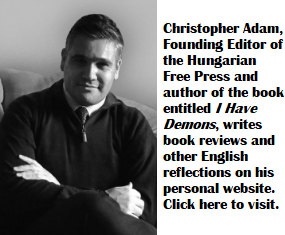 Sensitive issues such as severely different opinions about the Hungarian minorities in the neighbor countries might be an explanation of his sad and frightening statistics. Yes, Mr. Lázár… You understand extremely well what I am speaking about, do you? Which Mr. Lázár… you’re speaking about? There are many Lázár. He’s gonna have a first name, too. Yes? “This question could be unambiguously answered” just to quote you from up there. Are you too shy to be straight? Or just rotten. I don’t think the level of anti-semitism is necessarily due to any particular party, but I do know that it is something people are very used to in Hungary. No one even flinches when hearing racist or anti-semitic remarks and many enjoy chiming in as though hearing one is an invitation to carry on with it. This was slightly less visible during the communist era, but it was still there. The government claims there is 0 tolerance to racism in Hungary, however, nothing is done even within the party ranks where something could be done. This tells me they all are anti-semitic and racist to certain degrees. This sort of mindset takes generations to change, it doesn’t happen overnight. Having laws against hate speech and enforcing it and anti- discrimination laws are the only way to get change to start. Now we call it anti-Semitism, a flattering definition. They’re pure Nazi. Look at the photo up there. Look at the sign. Yes, we we’ve been trained to equal anti-Semitic with death chambers as if it was that simple but up there in the picture that is not only that. They’re not just anti-Semitic on “emotional” level, they’re pure Nazis themselves filled with death wish and hatred. Moreover, they get a lot of new momentum not only from the Jobbik but also from Orban and his private Fidesz Co.Ltd as well. Doing this simultaneously with efforts going on even in the Middle East to purge themselves from the anti-Semitic before it leads to a war, presumably a nuclear war. Orban is not only looting the country but in cooperation with the Jobbik they are driving Hungary into national suicide. Amend: Yes, we’ve been trained..
Jim, but Netanyahu will be also included as a Jew hater. His policies are responsible for the rise of antisemitism all over the world. Well, I think Netanyahu cannot be lumped together with Judaism, with Jew hatred and Antisemitism in short sentence you made it. I wouldn’t be surprise if the Jews themselves killed him one they. They see clearer and the world can see clearer now. Isn’t Netanyahu a Khazar? Or belongs to the group? They deceive even the Jews. They are cloaking themselves with Judaism. The Khazarians were given a choice between Islam, Christianity and Judaism. Then they chose Judaism to survive, and promised to stay within the requirements laid out by the Russian czar. Didn’t keep their promise, though. They were all slaughtered by the Russians and their allies. A small group of them managed to survive. Now Netanyahu continues the rituals of their old Satanism. His hand was in 9/11; 3/11 and is planning 5/11. You know 11 is the number of death in their doctrines. When Abe visited him he told Abe, ” don’t you think that Japan can be an exception” and next day two Japanese journalist were kidnapped by ISIS and were beheaded. Coincident? C’mon man! Or lies after lies? The Jews were never Khazarians. The Khazarians are using them Jews. Netanyahu cannot be identify as a Jew. And Antisemitism started well before his coming. Netanyahu is a different category. He’s not a Jew. I might be wrong. I leave it to the historians. But what is it to do with antisemitism in Hungary? They are simply Nazis and Orban is building a kind of nationalist mutant fascism together with the Jobbik. Their most revered religious guide tells Jews to rob Gentiles. It tells them that only Jews are truly human; the Non-Jew is an animal. Jews will rule the world and enslave Non-Jews. Many of us non-Jews have been conditioned to accept this and not react in the most natural way. “Many,” but not all. The rise in anti-semitism is just a count of Non-Jews awakening. A message to Jews who are alarmed at “anti-semitism.” The problem is of your own making. Disavow the Talmud. Work with all humans for the good of all humans instead of for only the good of your tribe. All will be well. Wow, what a primitive and petty line of discussion this has elicited, on both sides. The participants should be ashamed of themselves. Have all the thinking HFP readers gone off on vacation? I hope you don’t count me among the participants who should be ashamed of themselves… But yes, I wonder who really reads HFP. For sure, there is at least one Orban shill among them, but where are the thinking folks? ONE reason Hungarians resent and mistrust Jews is because Jews have infiltrated their government so heavily. There are MANY countries where this has happened (or been the case for a long time), but the government has been rather “heavier” (qua government) in Hungary than in some other places. The 1956 revolution, though the international (Jewish-informed) press never described it that way, was an attempt to overthrow the Jewish (communist) government and replace it with a non-Jewish one (presumably non-Communist). It failed, of course, though many Hungarian “refugees” were indeed Jews, in some cases Jews from within the government that was fighting for survival. General envy and personal experience, of course, also inform Hungarian anti-Semitism, along with simple bigotry.